The first year is such a whirlwind of diapers, feeding, sleeping, and strolling (repeat the above several times per day). All the while, baby is growing and changing from a precious little bundle to a small human learning to crawl, sit and stand on her own. As each day flies by, you don’t want to miss capturing the small moments and big milestones…but what ages should you make sure to capture? Which milestones should you watch for? Just as importantly, when should you bring in a professional photographer to help you document baby’s first years? That’s right. I said help. Why? Because I think that every family should have a camera that’s as nice as you can afford and one that you know how to work. The point is to make sure you have a camera loaded and ready to go at all times. A professional photographer won’t be there everyday so I’ll give you some ideas on what to capture and when to call in a pro. Got your camera? Great, let’s go. These are the first days of baby’s life and you are overwhelmed with deep emotions. If you haven’t already, hire a professional photographer now, ideally before baby hits 10 days old. Photographing a newborn is not as easy as a pro photographer makes it look. I mean, how many ways do you know to photograph a sleeping newborn while keeping the images interesting and heartwarming? Pro photographers who specialize in babies and newborns have spent countless hours creating images that will tug at your heart using different ways to pose your baby that best show all the soft sweetness of a newborn, capturing the deep emotions running through mom and dad with baby propped in their arms and demonstrating the relationships between mom and baby, dad and baby and mom and dad. 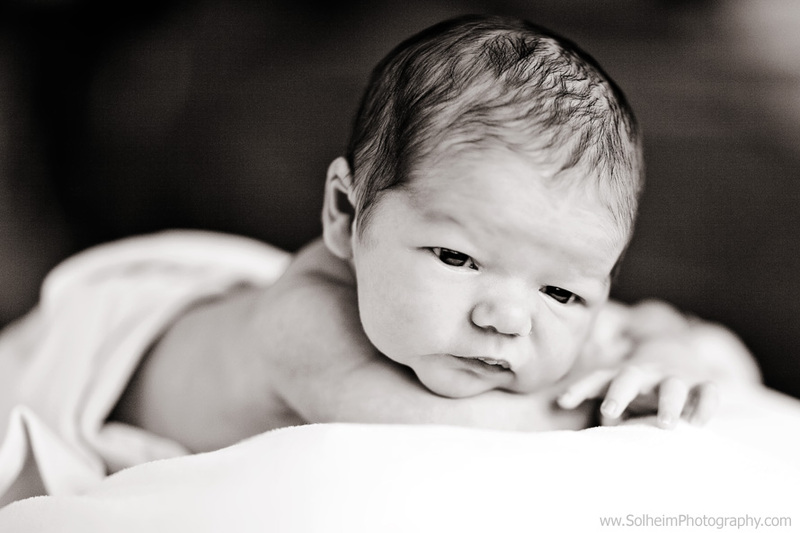 Newborn photography is fine art photography and a practiced eye makes all the difference. 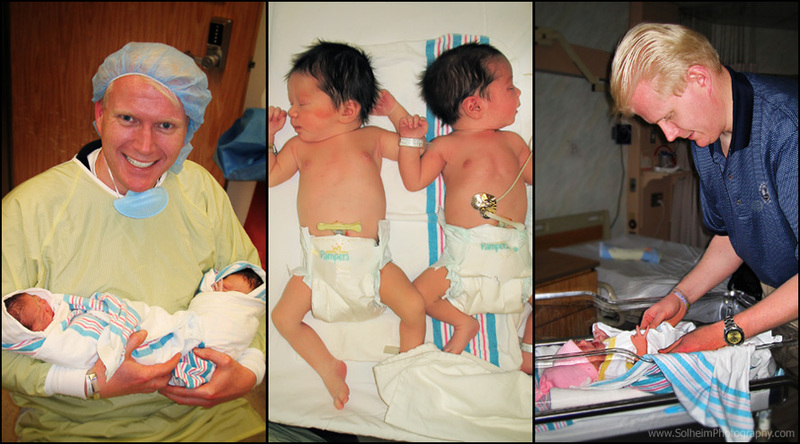 – the newly grown family (don’t be afraid to ask the nursing staff to take this one). – baby with grandparents, aunts, uncles, friends. These are just some photos that will bring back memories of those first few weeks and months with baby – wonderful images to keep in your scrapbooks. Baby just raised her head and pushed up on her arms – this is a milestone you don’t want to miss documenting. If you aren’t already in a First Year baby plan with a professional photographer whose work you love, now is the time to start. Not only has baby gained strength in her neck and arms, she is gaining significant weight. A professional photographer will not only catch the milestone but those pudgy baby rolls that explicitly define her adorable baby-ness as well. Baby is probably somewhere between 2 ½ to 4 months old at this point. – baby reaching for mommy while making funny faces. – mommy singing a lullaby as she rocks baby to sleep. – big bear hugs from mommy and daddy as baby takes his first steps.